The Trofeo Stradale is 70 kilograms lighter than the previous LP560-4, and sprints from 0 to 100 km/h in a mere 3.4 seconds and clocks 200 km/h just 10.4 seconds later. We all thought the Lamborghini Gallardo 570-4 Superleggera is the most intense of the LP570 series, until the president and CEO of Automobili Lamborghini S.p.A, Stephan Winkelmann, unveiled the most extreme Gallardo ever; the Lamborghini Gallardo LP570-4 Super Trofeo Stradale which took the audience by surprise at the Volkswagen Group Night in Frankfurt. This new and most extreme top model in the Gallardo lineup is based on the successful race car from the Lamborghini Blancpain Super Trofeo, one of the world's fastest single make series. The car will be produced in a limited run of 150 numbered units. Think about extreme race-prepped road-legal cars, the image you perceive in your mind would probably match the Lamborghini Gallardo LP570-4 Super Trofeo Stradale with the "Rosso Mars" paint scheme. The two massive carbon fiber air intakes up front just paint a fanatic picture of how wild the performance is, with a defined measure of calculated extreme handling and driver authority. The rear spoiler is an enormous, lightweight carbon fiber construction that can be adjusted manually. 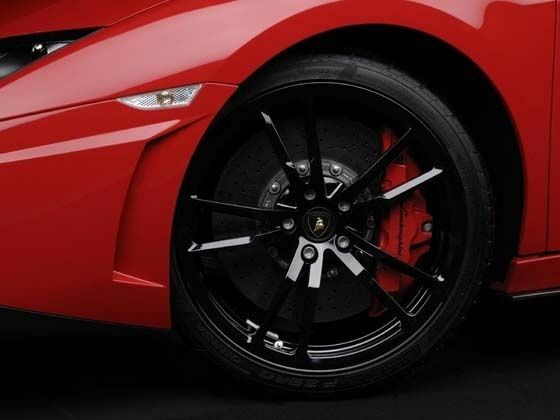 This spoiler offers greater aerodynamic stability which is said to offer three times the downforce as compared to the Gallardo LP560-4, which in turn helps increase stability during tight, high-speed driving. The Trofeo Stradale is 70 kilograms lighter than the previous LP560-4, which provides a stunning power to weight ratio of 2.35 kilograms per HP for breathtaking performance. It sprints from 0 to 100 km/h in a mere 3.4 seconds and clocks 200 km/h just 10.4 seconds later. The top speed achieved by the Stradale is 320 km/h. Thanks for the post,really a great car. see here salvage lamborghini for sale in USA. This Lamborghini 'Super Trofeo Stradale'is extremely impressive. 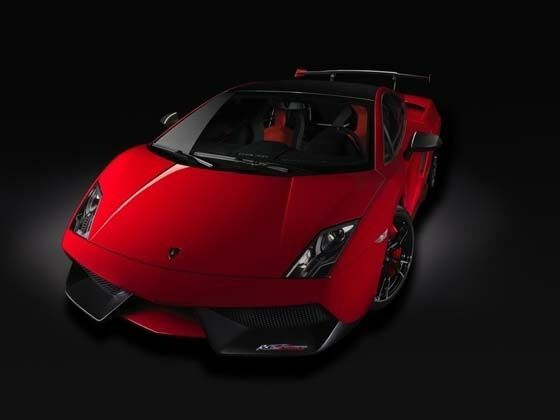 This is the one of the world's fastest car -- "the most extreme Gallardo ever".